In the first post of our Postcard From series, here are three cultural attractions to visit in St. Lucie county. “Come for a visit and see why we love calling this area home,” says Jennifer Trefelner, acting executive director of the Arts & Cultural Alliance of St. Lucie County. 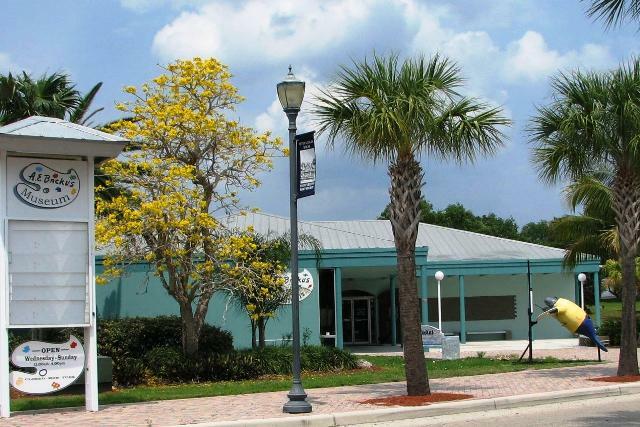 Located in historic downtown Fort Pierce, the museum is a worthwhile stop on any visitor’s itinerary. The museum’s ample free parking provides convenient access to other area attractions, casual waterside dining and boutique shopping. The A.E. Backus Museum & Gallery, a 5,000 sq. ft. public visual arts facility, was established in 1960 by A.E. Backus and a group of local art enthusiasts. Open five days a week from October through mid-June (summer hours by appointment) the museum features the Nation’s largest display of original paintings by Albert Ernest Backus. 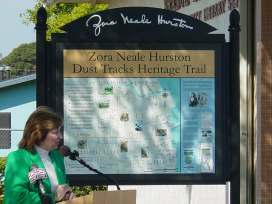 The St. Lucie County Library System received a grant through the Florida Humanities Council to produce a Heritage Trail in honor of Zora Neale Hurston. The City of Fort Pierce, St. Lucie County School District, St. Lucie County Board of County Commissioners, St. Lucie County Historical Commission, the St. Lucie County Cultural Affairs Department and the St. Lucie Historical Society joined together to work on this project to chronologically represent Ms. Hurston’s impact on St. Lucie County. St. Lucie County and the City of Fort Pierce were awarded a 2004 Roy F. Kenzie Award by the Florida Redevelopment Association, naming the Trail the “Outstanding Cultural Enhancement” for the year. The 1,200 seat Sunrise Theatre, located in historic downtown Fort Pierce presents national touring musical and comedy acts, Broadway shows, ballet and opera companies with full orchestras. The Sunrise Theatre directly benefits the economy and quality of life in St. Lucie County by attracting visitors from other cities, counties and states. Located within the Theatre complex is the 220-seat black box, a state-of-the-art multi-dimensional space, offering a variety of local/regional programming for organizations and renters throughout the season. For more information on visiting St. Lucie County, point your browser to http://www.visitstluciefla.com/. Look for arts and culture activities under the “Cultural Activities” section of the site. This entry was posted in Postcards and tagged A.E. Backus Museum & Gallery, culture builds florida, florida division of cultural affairs, Fort Pierce Florida, Highwaymen, St. Lucie County, Sunrise Theatre for Performing Arts, Zora Neale Hurston Heritage Trail by culturebuildsflorida. Bookmark the permalink.